The online version of the original article can be found under doi: 10.1007/s00586-010-1661-x. The online version of the original article can be found at http://dx.doi.org/10.1007/s00586-010-1661-x. An incorrect version of this article was originally supplied for publication. The correct version is now given here. Low back pain (LBP) is a common, complex and difficult to manage health condition . Approximately, 20% of the adult population experience an episode of LBP at any given time and estimates of lifetime prevalence are around 80% . Despite intensive research, management is only moderately effective . The economic burden of LBP is significant. For example, in the USA health-care expenditure for LBP is more than $90 billion/year , in the UK it is $17 billion/year  and in Australia $1 billion/year . Most of the costs of LBP are associated with persistent or chronic LBP, i.e. LBP which lasts for more than 3 months . There are several important consequences of LBP including work loss , disability and depression . Considerable attention has been applied to understanding and managing these problems , often with limited success. Evidence is beginning to accumulate that patients with LBP also report significant problems with their sleep [10, 11]. Poor sleep is known to cause a range of physiological and psychological effects . Over the long term, these effects can become severe and lead to serious health conditions such as depression, obesity, type-2 diabetes, hypertension and coronary artery disease [13, 14]. From a clinical perspective, the presence of sleep problems has implications for the management of LBP. For example, a recent study found that LBP patients who reported sleep disturbance were twice as likely to be hospitalised compared with those who did not . Other research suggests that improved sleep quality might reduce pain and daytime symptoms of patients with arthritis . 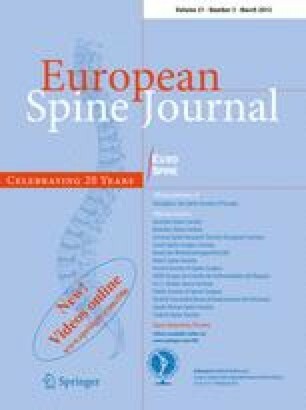 It is currently unclear how common sleep disturbance is for patients who are seeking care for their LBP, as estimates have been based on either highly selected groups of patients, such as the elderly or those attending specialist pain clinics [17, 18, 19], or small samples of chronic LBP patients [7, 20, 21]. These studies are likely to provide prevalence estimates that may not generalise to more heterogeneous samples of patients who are seeking care for their LBP. High quality data on the prevalence of sleep disturbance in this group of patients will determine whether research resources should be directed towards understanding the relationship between these conditions. Differences in prevalence rates between patients with acute or persistent pain may help identify a patient group that is at risk of developing chronic sleep problems. Finally, investigating the relationship between pain intensity and sleep disturbance may provide directions for the design of interventions to manage these conditions. whether sleep disturbance in patients seeking care for their LBP was associated with the duration of their LBP symptoms or with pain intensity. Individual patient data were extracted from 13 studies previously conducted by the authors or their colleagues between 2001 and 2009 [22, 23, 24, 25, 26, 27, 28, 29, 30, 31, 32]. Studies were eligible for inclusion if they contained the “I sleep less well because of my back” item of the Roland and Morris Disability Questionnaire (RMDQ). Patients were eligible for inclusion if they had non-specific LBP. There was no restriction on age, gender or duration of symptoms. All data were extracted from the locked electronic data files for each study. The individual participant data extracted from each study included descriptive data (age, gender), the RMDQ item assessing sleep “I sleep less well because of my back”, the RMDQ total score and pain intensity. The response format of the original RMDQ item assessing sleep disturbance is dichotomous (yes/no). In four studies, a multi-level RMDQ was used which permits a response on a scale from 0 (completely disagree) to 10 (completely agree). To harmonise the data, multi-level RMDQ responses equal to or greater than 5 were re-coded as ‘yes’ and less than 5 as ‘no’ . Four studies used multi-level RMDQ total score, which ranges from 0 (low level) to 240 (high level); one study used RMDQ-18. To harmonise the data with the RMDQ24, multi-level RMDQ data were divided by 10 and RMDQ-18 were multiplied by 1.33. Pain intensity was assessed in seven studies [23, 26, 27, 28, 30, 31, 32], six of which used a Numerical Rating Scale (NRS), where 0 = no pain and 10 = worst pain imaginable. Three studies [23, 24, 32] assessed pain intensity using an item from the Short Form 36 (SF-36) . To harmonise data, responses on this questionnaire were multiplied by 1.67. Two studies [23, 30, 32] used pain items from the Oswestry  and CORE  questionnaires and, to harmonise the data, responses were multiplied by 2. Responses to the item: “I sleep less well because of my back” were used to determine the prevalence of sleep problems for patients with LBP. A series of logistic regression analyses were performed to explore associations between pain intensity and duration of symptoms, and sleep disturbance. Analyses were performed on SPSS version 17 (SPSS Inc., Chicago, IL). The 95% confidence intervals (CIs) for the prevalence estimates were calculated using the Wilson method in CIA software [36, 37]. Table 1 describes the characteristics of the 13 included studies. All studies were conducted in Australia except one study that was conducted in Thailand and one trial partly conducted in New Zealand. The 13 included studies contained data on 1,941 patients. Five patients were excluded as they did not answer the question on sleep disturbance, leaving a total of 1,936 included in the study. The mean (SD) age of the study sample was 47.5 (15.3) years with 45.5% female. The mean (SD) total score of RMDQ was 10.8 (5.7); most participants had persistent LBP (73.1% of the total sample), and the mean (SD) pain score on a 0–10 NRS was 6.1 (2.1) (Table 2). As three studies [23, 24, 25] did not include a question on pain intensity, relationships between pain intensity and sleep disturbance were examined for a sub-group of 1,511 patients from 11 studies. The process of data extraction is shown in Fig. 1. Of 1,936 participants, 1,128 reported that their sleep was disturbed by their back pain. The estimated prevalence of sleep disturbance was therefore 58.9% (95% CI 56.4–60.7%). This finding was similar across the 13 included studies, with 10 of the 13 studies reporting more than 50% of patients with sleep disturbance (range 41–71%), Fig. 2. Logistic regression showed that pain intensity and pain duration were significantly associated with sleep disturbance (Table 3). Each increase of pain intensity by one point on a NRS was associated with a 10% increase in the likelihood of reporting sleep disturbance. Pain duration was significantly (p = 0.017) associated with sleep disturbance (63% of acute and 57% of persistent pain patients reported poor sleep). The primary aim of this study was to determine the prevalence of sleep disturbance in a large, heterogeneous sample of patients who were seeking care for their LBP. Using the sleep item from the Roland and Morris Disability Questionnaire “I sleep less well because of my back”, we found that 58.9% (95% CI 56.4–60.7%) of the participants reported that their back pain disturbed their sleep. This is slightly higher than the prevalence rates reported in previous studies conducted in smaller more homogeneous samples where the rates ranged from 50 to 55% [7, 11, 20, 21]. Given the effects of poor sleep, for example increased fatigue, daytime sleepiness and low mood , the presence of disturbed sleep is likely to lead to poor outcomes and to complicate the management of LBP. For example, in a recent study, patients with LBP who reported sleep disturbance were more likely to attend a hospital for their low back pain than those without sleep disturbance . Although there is some evidence that managing sleep disturbance of patients with arthritis leads to improved outcomes and reductions in pain intensity , it is not known whether managing sleep disturbance improves low back pain outcomes. Given the prevalence of sleep disturbance for patients with low back pain and its likely effects, it would seem prudent to ensure that sleep problems are properly assessed and managed for patients with low back pain. Previous studies on low back pain and sleep disturbance were conducted on patients with persistent pain [7, 19, 20, 22]. Our study is the first to consider sleep disturbance in patients with acute LBP. We found that the rates of sleep disturbance were high in patients with acute and persistent low back pain, which suggests that sleep disturbance does not develop with long-term pain, but rather presents early in the condition. This finding also suggests that factors other than pain duration may be responsible for reports of sleep disturbance. The aspect of low back pain that is most likely to be associated with sleep disturbance is pain intensity. Indeed, previous research has found that patients with low back pain who report sleep disturbance also tend to report high pain intensity compared to those who do not [7, 21]. We also found that that patients who reported disturbed sleep tended to report higher pain intensity than those without disturbed sleep; however, the relationship was weak (an increase in pain intensity by one point on the NRS, associated with a 10% increase in the likelihood of reporting sleep disturbance). This finding suggests that reducing pain intensity alone may not necessarily reduce sleep disturbance for patients with low back pain. Some researchers have suggested that sleep disturbance in patients with pain is more strongly associated with psychological factors such as depression, anxiety and poor mood than with pain intensity [17, 38]. Further research on patients with low back pain is required to delineate these complex relationships so that effective management can be achieved. Finally, although this study contributed to important findings in the LBP and sleep domain through a large sample, sleep disturbance was measured with a single item, which may not provide detailed understanding of which aspects of sleep are disturbed. This study found that there was a high prevalence of sleep disturbance in patients with LBP. Both acute and persistent LBP patients equally experience poor sleep. Pain intensity was not highly associated with sleep disturbance. Further research to determine factors that might be associated with sleep disturbance in LBP patients will be valuable. Mr. Alsaadi is a PhD student who has supported by the University of Dammam, Kingdom of Saudi Arabia. The authors of this study certify that no actual or potential conflicts of interest in relation to this study exist.